Obituary for James R. Fleming | Dimon Funeral Home and Cremation Services, Inc.
James R. "Bud" Fleming, 96, of Tremont, passed away Monday evening at the Tremont Health and Rehab. Born in Donaldson, January 22, 1922, a son of the late Thomas and Sara Fleming. 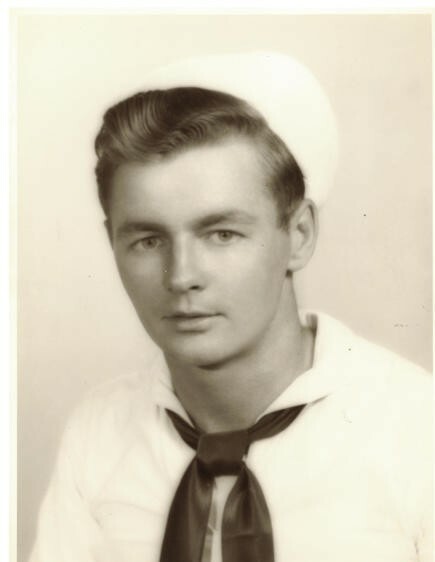 He was a W.W. II Navy Veteran. He was a member of Most Blessed Trinity Catholic Parish, Tremont. Bud was also a member of the Tremont American Legion. He will be remembered for being accomplished pool shooter, playing up until the age of 95. In addition to his parents he was preceded in death by his wife Eileen Daggett Fleming; 2012; a son, James Fleming, 1969; brothers, Paul, Joseph, Thomas and John Fleming; sisters Helen Walbert, Mary Emberger and Catherine Conway. Surviving are his son, Joseph Fleming and his wife Annette, Newtown; two grandsons, Michael and Gabriel Fleming, Newtown. Nieces and nephews.